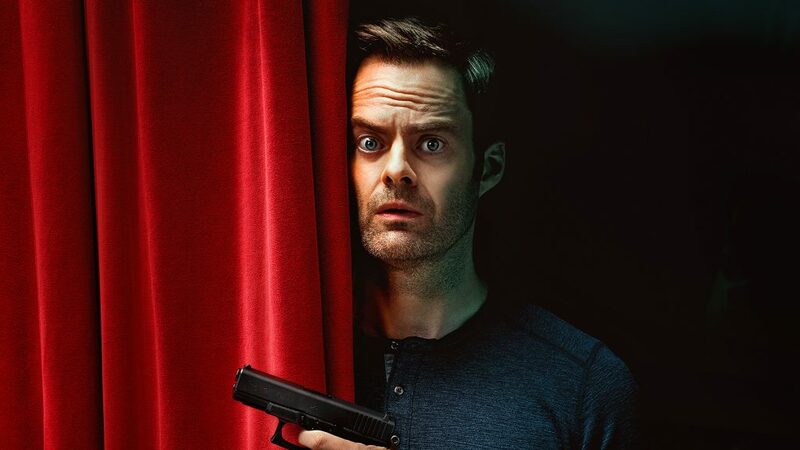 The world of Barry is centred around an acting class, but Bill Hader and company show they know a thing or two about the art form. Hader plays a character struggling to connect to other people, while the TV watching audience connects to him. He is a good actor playing a bad actor who’s delusion that he’s more important and talented than he is and less responsible for his actions is internal enough for him to miss. Likewise Sarah Goldberg as Sally has to straddle being likeable enough for Barry to fall for her while laying the clues she is an egomaniac who grew up convinced she’s special only to have this illusion shattered the older she gets. Henry Winkler as Gene plays a man who for it’s as if his whole life is a dramatic narrative, the loss of his lover from the first season being the latest tragedy. His career never got past auditioning for one line extra roles but he’s made himself feel special by becoming the teacher instead. The scene stealer is Anthony Carrigan as NoHo Hank who is both a dangerous gangster and friendly and effeminate friend to Barry. While his unexpected sunshine is hilarious it’s also sad that he fell into becoming a criminal instead of a job where his personality strengths would be more at home. In some ways he is an actor much like Barry, only playing the role of a murderous criminal. Stephen Root as Fuches is also a source of comedy as both a fool and a sociopath with no self awareness of how bad a person he is. Juggling hit man jobs for Barry, one can imagine Fuches and NoHo as based on Hollywood agents Hader has encountered in real life. Fuches would be the scummy first agent that gets them through the door while NoHo makes a greater effort to build a relationship and positive rapport with his client but still puts the money first. Barry is a show that makes sudden shifts from drama to comedy and it’s a credit to actors like Carrigan, Root, Winkler to be able to play comedic parts while representing key roles dramatically in the series. Ironically one of the least funny characters in Barry is the most talented comedian in Hader but his experience helps him play the straight man perfectly. The comedy of characters like Fuches and Hank is at its best when beside Barry who cannot see their lunacy, nor is he aware of the narcissism of characters like Fuches, Gene and Sally. Despite having a lighter tone and more willing to fly off the rails than a show like Breaking Bad, Barry soaking everything up like a sponge like he has everything in his damaging past grounds it in reality.